Theo is a super friendly and happy young Corgi, who has a tendency to not listen to his owners. His family are terrific and loving dog owners, who understands the importance of proper training. 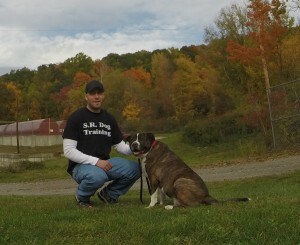 That’s why they contacted me for Dog Training in Croton Falls NY. 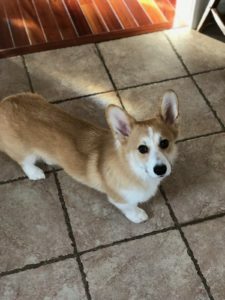 With Theo’s training, we are focusing on leash walking, how to teach him to ignore the two cats he lives with, and to respond to his owner’s obedience commands. My obedience training program focuses on making training fun and enjoyable for your dog, while ensuring you reach the success you are looking for. The litmus test for any dog training program, is whether or not your dog will listen when you need them to. There is no point to obedience training if your dog only listens for a treat, when they feel like, and when there are no distractions. You need your dog to listen all the time, regardless of distractions. That’s what I am here to help you with! The fundamental obedience commands I teach all my clients are: Come, Sit, Down, Heel, Drop It, Place, and Stay. I have three phases to my obedience training program: Beginner, Intermediate, and Advanced. The goal for these programs are to teach your dog how to happily listen to you when faced with actual real world distractions. Whether you want your dog to stop jumping on guests, “Come” when you call, walk nicely on leash stop stealing food off the countertop, or simply calm down and relax when you want them to, I can help.